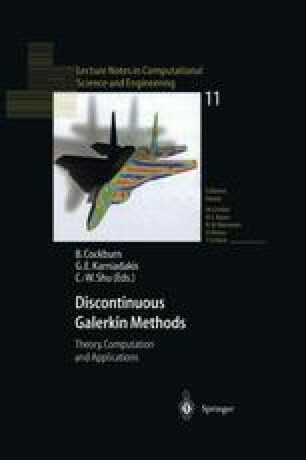 The discontinuous Galerkin method is seemingly immune to many of the problems that commonly plague high-order finite-difference methods, and as such, has the potential to bring the robustness of low-order methods and the efficiency of high-order methods to bear on a broad class of engineering problems. However the dependence of the method on numerical quadrature has significantly increased the cost of the method and limited the use of the method to element shapes for which quadrature formulas are readily available. A quadrature-free formulation has been proposed that allows the discontinuous Galerkin method to be implemented for any element shape and for polynomial basis functions of any degree.